Easy Low Carb Slow Cooker Recipes! Have I got a treat for you today! I have three amazing and Easy Low Carb Slow Cooker Recipes that I am going to give to you to try for yourself! These recipes are great for the fitness buff’s, if you are seeking to drop a few pounds, or if you just want to eat a little more healthy without losing the enjoyment of taste. I know it can be hard to get in a good quality and healthy meal considering the fast paced lifestyles that we all seem to live these days. That however is exactly why it is so important, we are always on the go and we need to fuel or bodies properly. 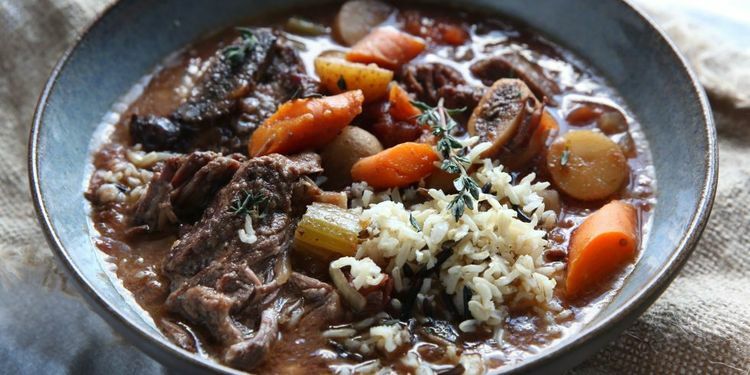 A slow cooker is the way to go! I use mine at least twice a week and often more than that. My slow cooker is all to often my saving grace. I can load it all up in the morning, turn it on low, and head out the door to take on the long day ahead. Then when I get home my house is filled with the aroma of a great meal ahead! The best part is that dinner is ready to go and there will be little clean up, I mean who wants to do a lot of clean up after a long day? Plus you can cook almost everything in a slow cooker! So there is and end less variety of meals that you can make with one of these bad boys. About the only thing that I do not use a slow cooker for is seafood, and that is because it cooks rapidly in the first place. So here you are, these are three of my favorite slow cooker recipes that I have gotten from Karine Losier, the Lean Kitchen Queen and the co-creator of the Metabolic Cooking Cookbook. I have also thrown in some of the ways I enjoy pairing each of these recipes, so plug in your crock pot and let’s get going! It has always amazed me just how well apple’s and pork go together, my mouth is watering just thinking about it! 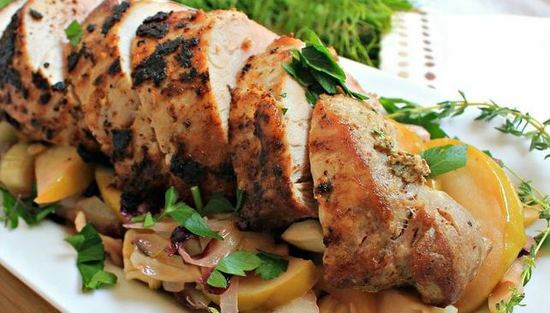 Place the pork tenderloin into your slow cooker. Combine all other ingredients together in a medium bowl and mix well. Pour mixture over tenderloin, generously coating the tenderloin evenly. You can carefully remove the tenderloin and slice, or just serve from the slow cooker itself. Place the pork tenderloin into your roasting pan. Repeat Step’s 2 and 3 from above. Carefully remove tenderloin from oven let stand for 5 minutes to cool, slice and enjoy! Nutritional Facts – Here is what each serving has to offer you. Brendon’s Tip – I like to core and slice an apple and add it into the slow cooker about an hour before I eat, or add the apple’s to the roasting pan right from the start of the roasting process. This one has just the right touch of zest without being to spicey, of course you can up the ante on the peppers if you like things a bit hotter, Salsa anyone?! Place the beef roast into your slow cooker. Spoon the mixture over beef roast, generously coating the roast evenly. Cover and cook on low for 8 to 10 hours, until the beef is tender. Carefully serve from the slow cooker, roast should fall apart easily. Brendon’s Tip – I like to make up a little a vegetable medley containing zucchini, onion, corn and poblano peppers. It is easy to make on the stove top, simply dice all of the veggies up, add a little splash of olive oil and taco season (to taste) and saute for about five minutes, or until desired tenderness. I know, I know, we already have a pork recipe! What can I say I love this one too, and if you love onions this one is right up your alley! 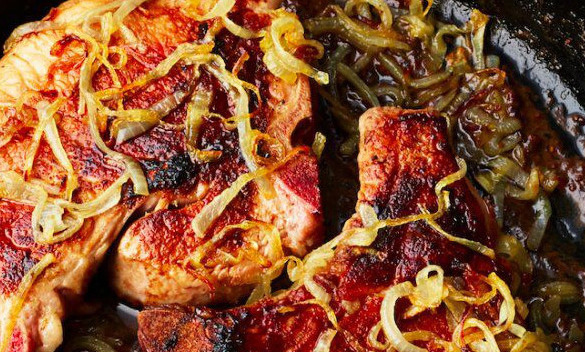 Place the pork chops into your slow cooker. Cover the pork chops with the sliced onions. Pour the beef broth and water over the onions and chops. Cover and cook on low for 4 to 5 hours depending on thickness of chops. You can carefully remove the pork chops from the slow cooker, plate and enjoy!. Using a large skillet, brown the chops evenly on both sides using a medium heat. Cover and saute chops for 10 to 15 minutes or until tender, turning throughout the cooking process. Remove chops from heat and let stand for 3 minutes, plate and enjo! Brendon’s Tip – I like to saute up some zucchini and squash with a litle olive oil and garlic to complete this meal. Well there you go Ladies and Gentlemen, these are just a few of my favorite slow cooker recipes, plus the two bonus preparation techniques for you to try out. Give these a try ! think you will enjoy each of them equally as they are all great recipes for your slow cooker! While the side items were my added ideas, the main course recipes came from Karin herself, and you can find them and dozens of other low carb options in her latest cookbook. If you would like to learn more about her cookbook I would like to invite you to check out my full review of the Metabolic Cooking Cookbook, it is packed with tons of great recipes and healthful information. I have a few more amazing low carb recipes for you to try out! Just click on the link below to check them out. If you have any questions, or if you just want to leave us a comment, feel free to do so in the comment area below. If you are interested in receiving more articles and recipes like this one, you are welcome to join the MyBodyMyMind.net Email Club. You will get our latest article and updates delivered right to your inbox for your convenience! Well that about wraps it up for today! Thanks for visiting and checking out the Easy Low Carb Slow Cooker Recipes! Here are three of my favorite low carb slow cooker recipes for you to try out! 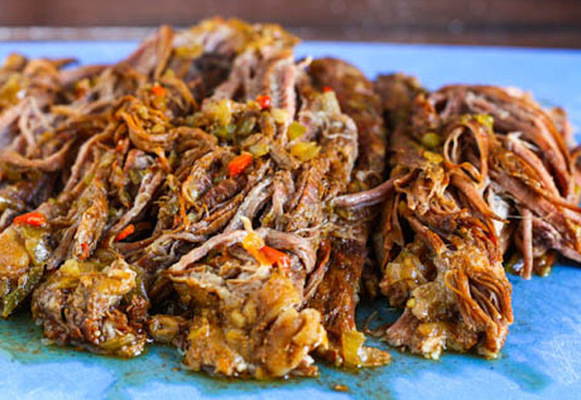 This site is awesome and makes me want to start to learn to use my slow cooker more. I like all the different colors and effects that attract my attention. If I may ask what was your favorite part of creating this site? I would say you did a very nice job with your site. Thank you for all of your compliments! this site is ever growing and expanding so it is nice to hear that I am getting it right! Trey you definitely will want to give these recipes a try, they are healthy as well as tasty, and you will get to hone your skills with your slow cooker. It is really not hard to use once you are comfortable with the idea. As far as my favorite part of creating this site, I have to say it is getting great comments such as yours! I love to know that what I am doing is pleasing and helpful for all of my users and visitors. After all it is your interest in, and enjoyment of my site that keeps me doing it. Trey I hope to hear from you again soon, try those recipes and let me know what you think. Thanks for sharing these recipes, just reading about them and looking at the pictures makes my saliva go crazy haha! Seriously, that Mexican beef looks ridiculously good! Reading this has got me convinced that I also need a slow-cooker. Is the brand crock-pot what you recommend to a beginner in slow-cooking? Yes sir, that Mexican beef is incredible! I usually triple up the recipe and serve it with corn tortilla chips for football Sunday gatherings, it is always a big hit! Marcus you have got to get a slow cooker, it will open you up to so many great meal ideas, and they are really easy to use, just load it up and set the timer, that’s it! 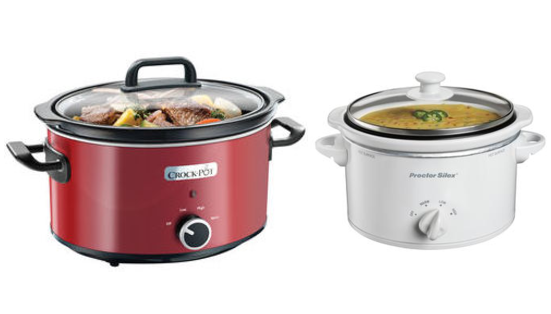 As far as they go you can pretty much use any type of crock pot, they come in all shapes and sizes and range from the basic all the way to the high tech digital cookers. just consider how you will use it, I like a bigger crock pot myself because I always seem to cook for an army, but that is just me. Okay Marcus, go grab yourself a crock pot and get to cooking, let me know how itis going for you! These recipes looks awesome. Currently getting back started on low carb after having some success and maintaining. Thanks! 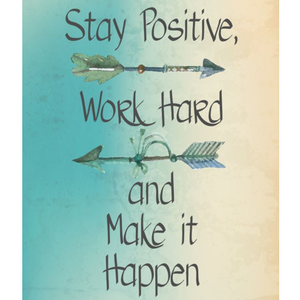 Good luck getting back on track! I think we all have our moments and times in life when we get derailed, all you can do is get back at it! Check back soon for more great recipes to come! Thanks for leaving us a comment, we love to hear from our guests!